Within this website you will find free lesson plans, print ready worksheets for all levels, all abilities and all subjects from Pre-school to High School and cross curriculum unit studies. These learning tools are all FREE for you to print and use for personal or educational purposes. LessonSnips offers free teaching lessons, lesson plans, worksheets, and more, to supplement your lessons in Social Studies, Language Arts, Mathematics, and Science. Light Up Your Brain is about inspiration, creativity, and the fun of being a kid. Light Up Your Brain offers great audio stories, games and links to outside resources. This website features all sorts of educational projects, lesson plans, unit studies, and creative play ideas that you can do at home or school using classic LEGO® components. Most activities will also work with other brands of plastic bricks. This site is dedicated to sharing resources for learning, exploring and enjoying math in a dynamic and holistic manner. You'll find inspiring articles, activity ideas, and links to resources for both the parent and student. MrNussbaum.com is an interactive website designed specifically for students in grades K - 8. On MrNussbaum.com you will find dozens of interactive games, activities, worksheets, and teacher tools that pinpoint essential skills. FREE Lessons & Worksheets in math, reading, language arts, spelling, science, and social studies. Self grading! National Challenged Homeschoolers Associated Network (NATHHAN) helps families homeschooling special needs children in ways that glorify the Lord Jesus Christ. NBC Learn has digitized more than 12,000 stories from the NBC News archives, and collections are updated with current events every day, Monday through Friday, with stories from such celebrated programs as NBC Nightly News, the TODAY show, Meet the Press, Dateline NBC, as well as the networks of MSNBC, CNBC, and Telemundo. Look here for awesome videos and downloadable lesson plans. A homeschooling parents guide to going to school, including what kids learn each year, learning disabilities, reading strategies and early math. ZOOMify your volunteering with cards and signs. Print, concentrate and flip some ZOOMers! ZOOMify your party with cards and invites, Get the latest ZOOMY activity booklet. Download and print activities to do... anywhere! Here you will find free notebook pages, minibooks and lapbook projects, handwriting charts and booklets, and organizational tips and ideas that a Charlotte Mason homeschool mom in South Africa shares with other homeschoolers. Free worksheets, lesson plans, and teaching ideas for primary and elementary teachers. Visit Saxon Homeschool's Resource Center for free downloadable PDF samplers. Includes their math and grammar and writing series. SchoolExpress offers numerous FREE items including 16,000+ worksheets, make your own worksheet generators, games, and software. Non-free items are available through annual memberships and individual sales. If you do unit studies, this is a great resource. Sign up for their newsletter to receive a free thematic unit every week. 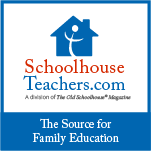 SchoolhouseTeachers.com was created with the vision to provide quality homeschool materials from the best teachers in many subject areas. They offer daily, weekly, and monthly lesson plans and activity ideas. The site has daily lessons on many subjects to assist you with your daily homeschool. Some of their Teachers provide weekly or monthly activities that you can use at your convenience with your own lesson plans. You also will receive daily historical information, daily menu ideas, and tons more. SchoolTube.com is the nation's largest K-12 moderated video sharing website that provides students and educators with a safe and FREE video sharing website that is exclusively endorsed by leading education associations. The videos are student produced and moderator approved and includes sponsored channels like National Geographic and Disney's Planet Channel. Show.me.uk is a free to use, non-commercial site produced by Culture24. The site is packed with games and resources generated by the UK's museum, gallery and heritage sector. The SMILE program was designed to enhance the elementary and high school learning of Science and Mathematics through the use of the phenomenological approach. Between 1986 and 1997 each summer session participant was asked to create and publish a single concept lesson plan. These lesson plans include the materials needed, a suggested strategy and expected outcomes. There are currently almost 900 of these lesson plans available. In addition, starting in 1997 the participants in the academic year program have been asked to present a brief single concept lesson or idea. Summaries of the academic year lessons are at academic year notes. Smithsonian lesson plans emphasize inquiry-based learning using primary sources and museum collections. Each plan is print-friendly and provides you with all the materials you need—photographs, reproductions, handouts, activities, suggested strategies, standards information, and additional online resources. Lesson plans can be searched by subject, grade, and keyword.